I have been working in venture capital in Egypt for the past nine years. In both my roles as Managing Director at Algebra Ventures and at Ideavelopers, I have had the privilege of working with, and learning from, exceptionally talented and passionate entrepreneurs. In that context, I have seen some recurring themes that often stem from entrepreneurs wanting to drive investors’ thinking in a certain direction but often end up backfiring. Having seen thousands of pitch decks and hundreds of in-person presentations, here are 9 common pitfalls that I hope to see less of in the future. We think of every investment as a partnership. We invest a significant amount of capital and effort to fully support every portfolio company, especially when times are tough. If my partner doesn’t believe the opportunity is attractive enough to pursue full-time, I should likewise be looking at whatever else. I understand you are passionate about your vision. It’s great to see that in an entrepreneur. It’s not that I don’t trust your understanding of the market or even your instinct. I need to better see what you’re seeing through facts and numbers so that I can get as excited about the opportunity as you are. Everyone loves high returns and we all understand how IRRs work. If you pitch a startup that is “designed to be acquired by large company X in six months”, it becomes really hard to answer the question “what becomes of the company if the acquisition doesn’t happen?” Riding the flavor-of-the-month hot trend, especially one with questionable long-term prospects, might generate interest from investors and the media in the short term but it doesn’t help create lasting value. Eventually, startups that don’t need to get acquired to survive end up getting the best acquisition offers. I was fortunate enough to work with some incredibly talented founders. Some had been CEOs in previous careers, others serial entrepreneurs or graduate from top global MBA programs. All the successful ones understood the skills they didn’t have and actively sought to fill these gaps. When founders are reluctant to bring strong talent to their team (for fear of losing control or equity), it tells me that they don’t see a large enough prize to be willing to share with others. It’s great to see ambitious entrepreneurs who believe they can hit it big. Just be mindful that if you overinflate the numbers to the point that you can’t comfortably defend your assumptions, you lose credibility. Similarly, if you say that a certain investor has interest in your startup, I might very well pick up the phone and call that investor (it’s still a small ecosystem, even at the regional level) and you can imagine what my reaction will be if that investor only vaguely remembers the company. I see this all the time. Smart, driven people are looking to start a company and they dabble with a few things in parallel either to have more than one income stream or to diversify risk. More than one of those things picks up and it is hard to give up one of your babies. It is challenging for me to take a bet on two (or more) businesses with different economics, risks and internal capabilities needed to succeed. Let investors do their own portfolio management. Every investor will build their own investment case. Most entrepreneurs don’t know what the IRR targets for funds are or how the VC will assess risk of different startups. Present the opportunity well and let us worry about what our returns need to be to make the deal happen. It really isn’t just about the valuation. Venture investors look for protection and preferred rights. These can have significant impact on your ability to make decisions in what you have always thought of as your startup and on your economic return in different scenarios. A good lawyer, experienced in VC deals in Egypt, will help you understand what the terms mean for you and give you a sense of what is considered market standard. We are all excited about the attention that entrepreneurship is receiving in Egypt. Networking and attracting media attention is an important part of building a business. However, I find myself wondering where some entrepreneurs find the time to do anything other than PR. I have yet to meet an entrepreneur who has built a successful business because they are “famous” in the ecosystem. These nine pitfalls are by no means comprehensive and of course, every entrepreneur has their own style and way of doing things. Managing Partner at Algebra Ventures, Egypt's leading Venture Capital firm. 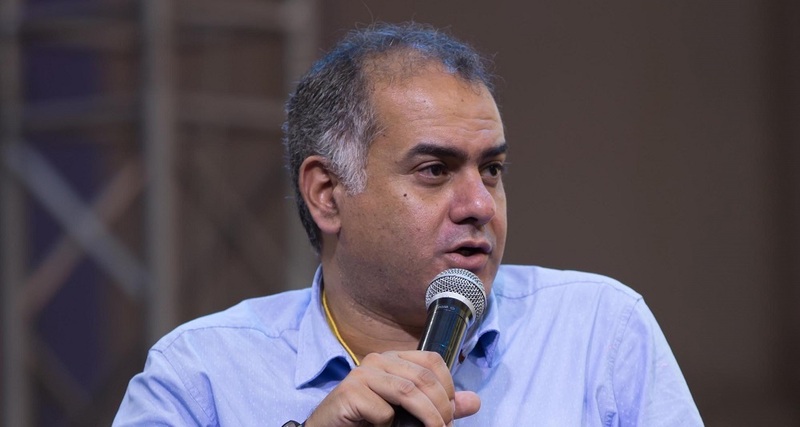 He is also the Managing Partner at Ideavelopers where he has been managing $50m of VC investments since 2009, including some of Egypt’s most prominent tech startups.